Chapter 9 is the section of the National Bankruptcy Code that provides for the reorganization of debt incurred by municipalities such as cities, towns, counties, and villages. 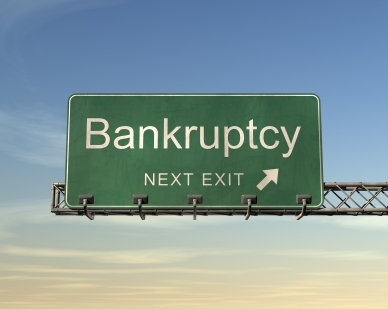 The very first municipal bankruptcy was filed in the United States in 1934 during the Great Depression. While the provision has been around for 60 years, there have been less than 500 cases. Despite being rare, many contemporary municipalities are considering bankruptcy as an option in the face of falling tax revenues and rising service costs. While Mammoth Lakes, CA will exhaust all feasible options to stay out of bankruptcy, it seems more and more, like the only way out. On March 23, 2012, the Town was court ordered to pay $42 million to Mammoth Lakes Land Acquisition (MLLA) for breach of contract on an architecture Development Agreement near the town’s Mammoth-Yosemite Airport which was entered into in 1997. The original judgement for $30 million now includes attorney’s fees for MLLA incurred during multiple appeals by the Town as well as 7% interest, plus it’s own legal fees. Mammoth Lakes, CA will take advantage of a new California state law that mandates municipalities to enter into a process of mediation with creditors before filing for Chapter 9 at the federal level. This process allows each and every creditor to reach an agreement on the repayment of outstanding contracts. This could include contracts with landscape architecture or urban planning consulting firms, business services, etc. Unfortunately, all attempts to reach a sustainable settlement have been futile and MLLA has refused to participate in the mediation process. Some financial options include organizational restructuring, layoffs, or even a Town Tax on Mammoth Mountain lift ticket prices. While the ultimate fate of Mammoth Lakes, CA has yet to be determined, the Town must find a way to maintain already depleted yet crucial resort community services such as commercial air travel service, local free transit, affordable workforce housing, public safety, and recreational facilities and programming in the face of severe financial insecurity. Other essential services include road maintenance, snow removal, and marketing. If the Town of Mammoth Lakes, CA wants to maintain industry distinction, it can’t let essential services, for residents or visitors, go down the drain. What other options do you think a small tourism-based economy has to survive past mistakes in fiscal management? You can read more about the Mammoth Lakes, CA bankruptcy on the Town of Mammoth Lakes website or in local print media at The Mammoth Times or The Sheet.